Data Donderdag is the business meetup about Big Data, without all the technical details. The 22nd edition of this Meetup will take place on May 31 at the beautiful location of the Heineken Experience. Experience interesting talks on topics like #BigData business and use cases, while enjoying one of the freshest beers you'll ever taste. During the evening several speakers will present their data driven business cases and one start-up takes center stage to present an innovative solution. 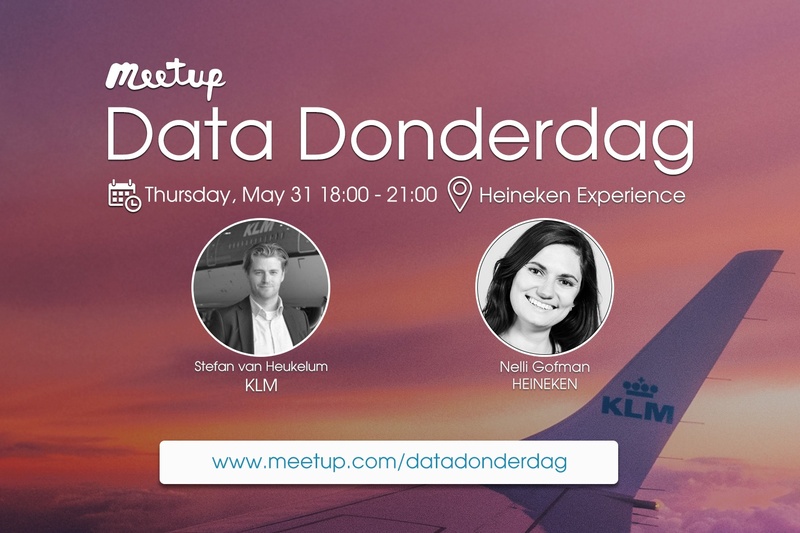 Stephan van Heukelum from Royal Dutch Airlines KLM will speak about the introduction of data-driven applications for their finance department, while Nelli Gofman, data scientist working for Heineken, will talk about data-driven projects focused on quality consistency.